Any paper—magazines, newspapers, wrapping paper, copy paper—can be upcycled into a variety of shapes and sizes of paper beads to make colorful, unique pieces of jewelry that no one would guess are made from paper. 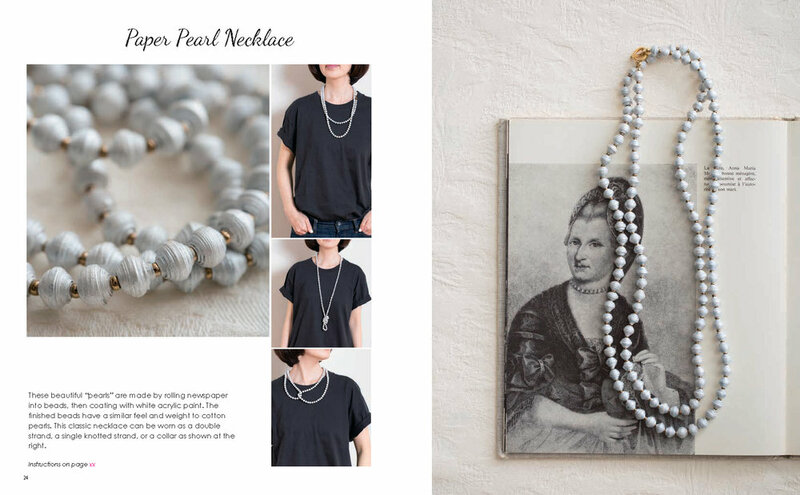 Fashioned from thin strips of paper and painted in a variety of ways, the beads you create can be used to make elegant drop earrings, beaded necklaces, and bracelets. Combine them with other unique beads and charms for even more looks. 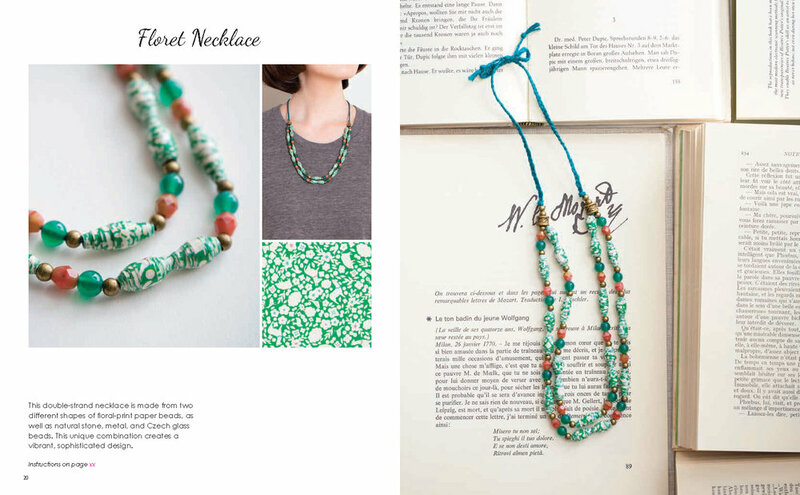 Includes instructions on how to create the paper beads, as well as how to use metal findings, leather cords, and other materials to create professional-looking designs.